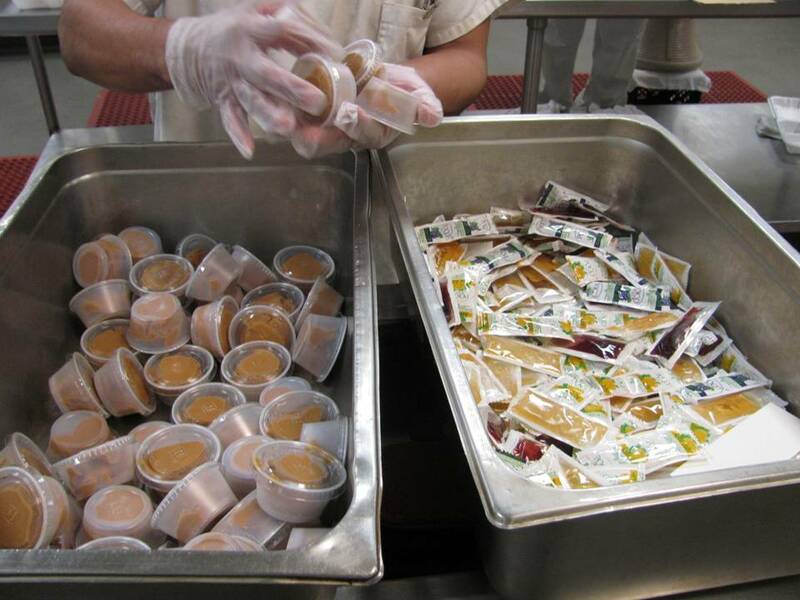 Inmates at Denver’s County Jail ‘mise en place’ the condiments (Peanut Butter & Jelly) needed for the day’s breakfast. This summer, after receiving tons of requests for more tools that identify and eliminate waste, like the kind we often find on our desks (i.e. candy wrappers and dated documents), the Peak Academy decided to create a video around an organizational tool designed to identify and sustain the elimination of the kind of waste we often find on and around our office desks, storage rooms, etc. After weeks of searching, the team found an interview NPR released on August 11, 2014 called; “For A More Organized Life, Organize Like A Chef.” This interview was exactly what we were looking for; it is a tool that merges the common sense of everyday housekeeping with the components of the 5S/6S tool we teach Peak Green Belts & Black Belts. This video (below) juxtaposes images of the production kitchen at the City & County of Denver’s County Jail with an interview from NPR about Mise En Place and the art of organization (mentioned above). Previous Post Continuing Peak Education!